In 2006, D.R. Horton purchased 1,600 acres of sugarcane fields from the James Campbell Estate. The vision for Hoopili was to create a sustainable community for the people of West Oahu. Today, 10 years later, we are seeing the beginnings of Hoopili starting to take shape. The masterplan calls for 11,750 homes, with 200 acres of agricultural land for community farms, parks, open spaces and schools, and 3 to 4 million square feet of commercial space bringing thousands of new jobs to the community. Building homes for first-time buyers is important to D.R. Horton which is why 30% (3,500) of all homes built will be reserved for affordable housing applicants. D.R. 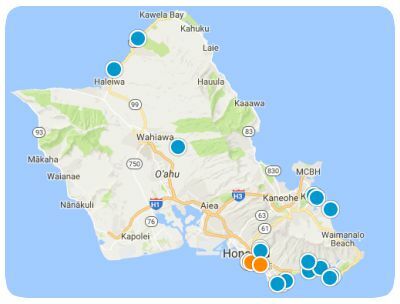 Horton has already found great success at the nearby Mehana project in Kapolei and Kahiwelo at Makakilo. The first phase calls for 293 homes which should be completed in the summer of 2017. $300,000 to $600,000 is the price range for phase one which will also include some commercial space along with a pavilion and a playground located on a 1.8 acre park. Within Hoopili there will be various developments ranging from low-rise condos, townhouses, and single family homes. Each little micro-community will have its own name, architecture style, and residents that will help create a sense of family and community. Kohina is Hoopili's newest project and will feature multi-level townhouses. Sales will start soon in early to mid 2019. Akoko offers two and three bedroom market and affordably priced townhouses and flats. 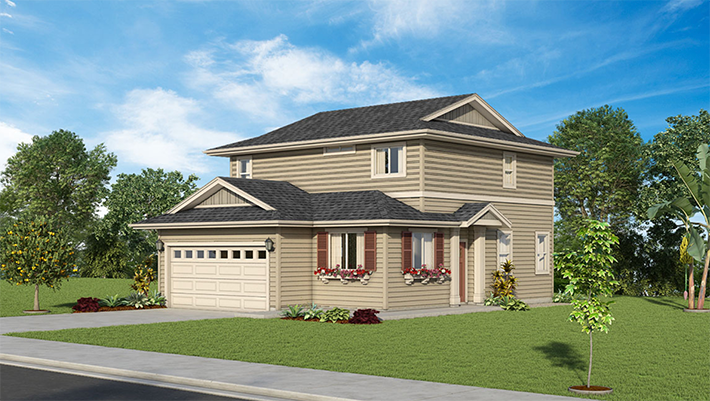 Floor plans ranging from 749 sqft to 1,519 sqft are available and feature open concept floor plans. Click here to learn more about Akoko at Hoopili. Iliahi features single family homes with some units featuring accessory dwelling units. Accessory dwelling units provide options for the home owner to rent out as a separate unit providing rental income to the homeowners. 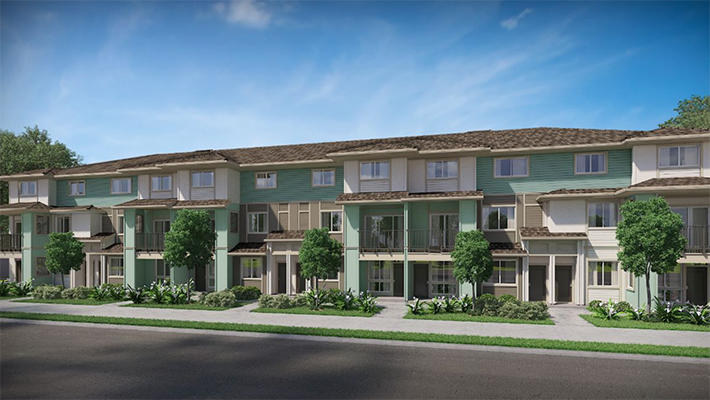 Seven different floor plans and options are available at Iliahi. Click here to learn more about Iliahi at Hoopili. Haakea at Hoopili is one of Hoopili's earliest communities and featured single family homes. Homes started in the mid $600,000s and featured landscaped yards, split AC, tankless water heaters, and so much more. 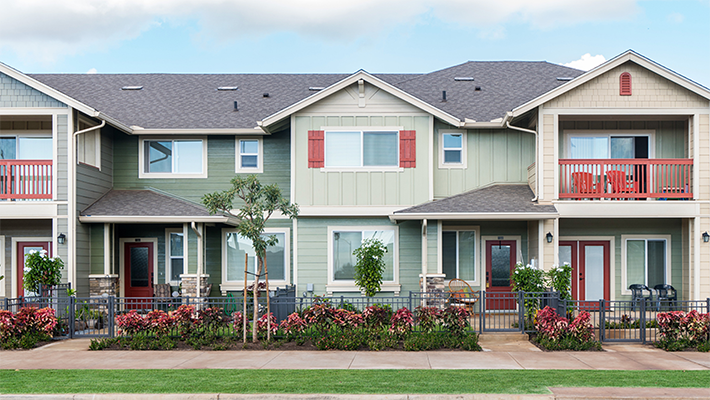 View floor plans and active listings for Haakea at Hoopili here.